Free kids t-shirts this half term for the little people in your life! Courtesy of Carpet Fit Wales. Carpet Fit Wales is a family run business so we like to get the kids involved too! That’s why we are giving away free kids t-shirts throughout half term this October when you order supply and fit of flooring from us. 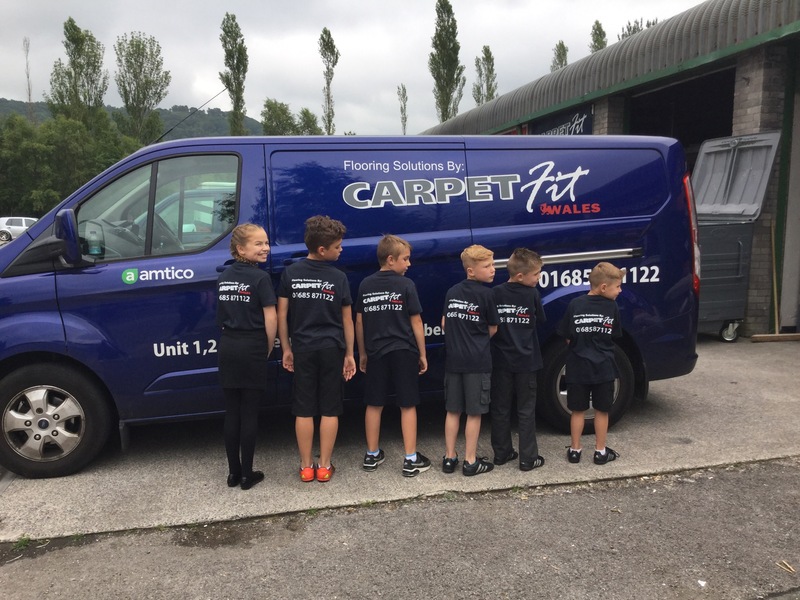 Back in July during the school summer holidays the Carpet Fit Wales kids all mucked in and helped out at our unit in Aberaman, proudly wearing their Carpet Fit Wales kids t-shirts. With October half term on its way at the end of the month, we’d like to give your children a free t-shirt when you purchase your quality flooring from us and book fitting. It’d be great to see photos of your children sporting their new t-shirts and giving a thumbs up next to the quality flooring we’ve supplied and fitted by our experienced and skilled team. We are giving away a maximum of 2 t-shirts per supply and fit order so please quote KIDS02 when getting in touch – 01685 871122 / sales@carpetfitwales.co.uk. So if you’re looking to refresh your home, office, school, salon, caravan, or even Wendy house whilst school is out then let your kids get involved in choosing the flooring that’s right for your home. Make it a family affair, like us here at Carpet Fit Wales.